Vaccines as we know them are on the way out. On the way in are personalized, precision vaccines, created through a new discipline called vaccinomics that promises to protect a higher proportion of the population at far lower cost and without the real and potential harms that mass vaccination programs inflict on some people. Vaccinomics -- vaccinology informed by genomics -- turns the traditional vaccine model on its head by making the individual the starting point, rather than the end point, in the vaccine creation process. Vaccines work -- or don't -- on the basis of cumulative interactions in our bodies driven by a host of immune response genes and other factors. "The old paradigm isn't working anymore," Dr. Gregory Poland, head of the Mayo Clinic's Vaccine Research Group explains matter-of-factly. "It didn't work with HIV, it doesn't work with other complex viruses and pathogens." It didn't even work with measles, which countries in the west had declared eliminated. Now measles is coming back and it isn't likely to stop, not until old-school vaccine scientists give up their "cherished dogma," recognize the many limitations in today's vaccines and adopt 21st-century thinking. Traditional vaccines work on a century-old model of "Isolate, Inactivate, Inject" -- the tried-but-not-always-true method of making a vaccine by isolating a pathogen, stripping it of its potency and then injecting it into us. This crude approach to developing a vaccine, reliant on observation rather than theory, becomes all the cruder by delivering it in one-size-suits-all fashion. As one example, women tend to be much more responsive than men to vaccines, yet women are given the same high dose as men, even though women report far higher rates of adverse effects after vaccination. Are we "over-dosing" women, Dr. Poland asks? Likewise, different ethnic groups, different age groups, and other demographics, though responding differently, are treated indiscriminately. Vaccinomics -- vaccinology informed by genomics -- turns the traditional vaccine model on its head by making the individual the starting point, rather than the end point, in the vaccine creation process. Vaccines work -- or don't -- on the basis of cumulative interactions in our bodies driven by a host of immune response genes and other factors. Because different gene sequences determine how different vaccines at different doses affect us, vaccines in the ideal should be customized to the individual. In Dr. Poland's view, that ideal, once unthinkable, is now within reach. The cost of determining an individual's gene sequence is today $1000. Within a year, the cost is expected to plummet to $100 or less, making it economically feasible to produce gene sequences for us all. Armed with that information, vaccine doses can one day be sized to an individual's particular genetic profile, eliminating today's one-size-suits-all approach that sees some individuals receive doses too weak to offer any protection, other doses several times stronger than needed. These gene sequences can also save lives. Dr. Poland described the case of a young woman who arrived at the Mayo Clinic, her brain destroyed by a rare adverse reaction to the yellow fever vaccine, taken because she planned to be a missionary in Africa. Once gene sequencing is the norm, and science can identify what genes or gene combinations pose dangers in response to which vaccines, such tragedies can be avoided. For reasons such as this, the vaccine research team at Mayo Clinic -- one of the world's largest, most respected and most prolific -- promotes the growing discipline of "adversomics," which aims to understand the adverse effects that can come of vaccines. The science here is daunting, since the variables that could cause a vaccine to do harm involve "a complex interaction of past exposures and infections, current physical and emotional health, and the individual's genome and microbiome," or the countless microorganisms that reside in our bodies. Yet this science is also doable, with some successes already logged. Adverse reactions to vaccines may be in part "genetically predetermined," Dr. Poland says, giving examples of different reactions, linked to genes, in various vaccines. 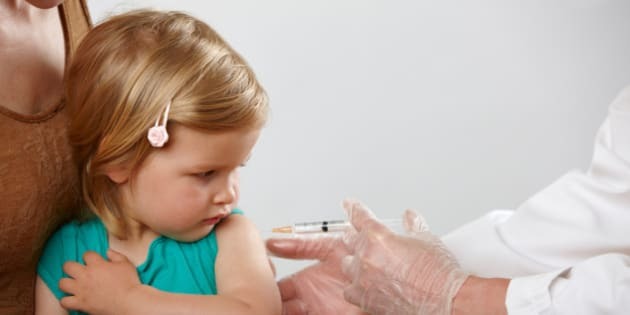 "For example, a small percentage of children who get vaccine-induced fever after MMR [measles, mumps and rubella] will develop febrile seizures. I'd like to see predictive tests or preventive therapies that could be administered with the vaccine to prevent these reactions." The sciences of vaccinomics and adversomics depend on advances in collecting and analyzing biological data, and here a massive research effort is required, to comprehensively track all the adverse events that occur, and the circumstances surrounding them. This effort could pay off both directly, in the scientific discoveries to be had, and indirectly, in winning over the growing number of people who are now skeptical of vaccine safety, and have helped create the demand for adversomics. These skeptics often come from the elite in society -- they tend to be well educated, affluent, and highly motivated -- making their buy-in necessary for widespread vaccine use to occur. "The current science doesn't allow for an informed understanding of an individual's genetically determined risk for an adverse event due to a vaccine," Dr. Poland explains. His expectation: Once people have risk information, informed choices will follow. Dr. Poland has had his detractors -- when he first unveiled vaccinomics in 2005 many in his field reacted with hostility. Many still see him as unrealistic. Inertia in the establishment is also working against him. Although he has close working relationships with both the U.S. Centers for Disease Control and major pharmaceutical companies, neither are vaccinomics enthusiasts, both prefer the security of the status quo. Yet vaccinomics is already a force, with the air of inevitability. Scientific American calls it "one of the most innovative scientific concepts of the decade." The Scientist calls it "one of the hottest omics fields." The vaccinomics concept is now being proposed to promote vaccine safety by researchers at major institutions in Canada and Europe as well as the United States. As vaccinomics becomes mainstream, its commercialization will likely come not from the ranks of Big Pharma but from that of the many entrepreneurial pharma upstarts, backed by venture capitalists. Big advances generally come from outside the establishment, notes Dr. Poland, the man who coined the term "vaccinomics" and who will be known as the Father of Vaccinomics.